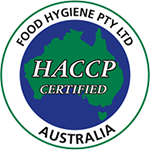 Your one-stop quality food ingredient supplier. Carroll Partners is employed by our principal Jenali Trading to source the very best ingredients from around the world. We pride ourselves on delivering only the highest quality products and to do this our product range changes seasonally. Jenali Trading represents international ingredient growers and manufacturers. Jenali Trading's product list changes regularly depending on product availability and customer demand. Jenali Trading has warehouse facilities in all Australian and New Zealand capital. If required, Jenali Trading is able to assist with ingredient sourcing. In addition, Jenali Trading is an official distributor for Buderim Ginger. Tropical Dried Fruits and Glace Fruit. Click here for more information.